Pitch correction plug-ins are essential tools in today's modern music production workflows. These tools enable producers to correct pitch issues in recorded vocal performances, however, many do use these types of plug-ins to fix intonation problems on other types of tracks and instruments such as bass guitars and stringed instruments. Tuning plug-ins are used in a variety of different ways to produce a number of different effects such as the over processed T-Pain/Cher effect or extremely transparent pitch correction that can be sculpted to sound almost inaudible. In this list, we highlight several powerful tuning and pitch correction plug-ins that you should try in your next mix. 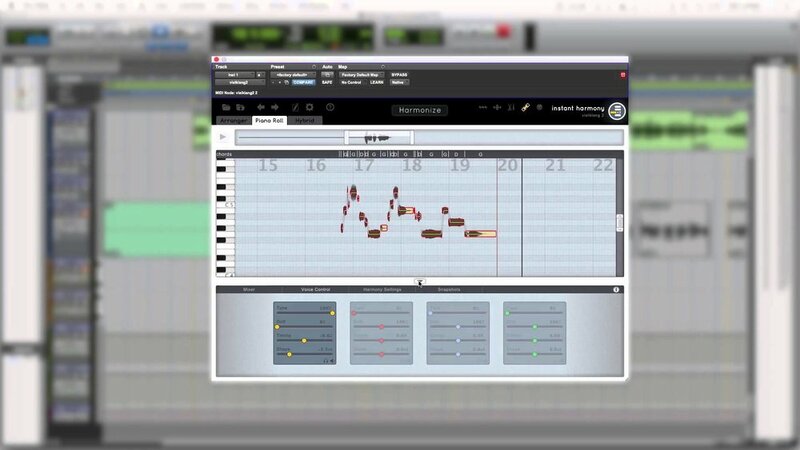 For many, Melodyne is regarded as The King of all pitch correction plug-ins. Over the years Celemony, the developers of Melodyne, introduced many groundbreaking features that make it difficult to not argue Melodyne's reign over other pitch correction plug-ins. Melodyne is a very intuitive plug-in to use when tuning but that's not the whole story when it comes to pitch correction in Melodyne, oh no! It features a technology called DNA, Direct Note Access. DNA enables users to tune audio in polyphony. Say you have an acoustic guitar recording that clearly has one string out of tune.. well, Melodyne can easy shift that one string back into pitch. The most recent version, Melodyne 4, boasts some very cool new features that shouldn't be overlooked. In the top version, Melodyne Studio 4, users can work in a DAW like GUI that makes it quick and easy to edit entire multitrack productions on the fly. A cool tempo feature called Edit Tempo enables users to adjust the global tempo by either snapping the entire tempo to one fixed bpm or adjusting sections where timing is a noticeable issue. That's enough about time correction... back to pitch correction. Personally, I think Melodyne is the gold standard for pitch correction. When used musically and tastefully the tuning results sound invisible. Stear clear from automatic pitch and timing features as you'll hear the occasional note land where it shouldn't. To get the most out of Melodyne's tuning powers you need to develop a workflow that forces you to use the main set of pitch tools that are accessible by right-clicking your mouse on the timeline in conjunction with your ears and musicianship. Watch our video Review of Melodyne 4 Studio to see a selection of its powerful features in action. iZotope Nectar 2 Advanced is a fully loaded suite of effects, dynamic processors and tools specifically designed for vocal production that also includes a very cool "Pitch Editor" tuning section. The ergonomics and workflow of the Pitch Editor in Nectar 2 are not too dissimilar to Melodyne. It's very intuitive to use in both the "piano roll" grid mode and automatic modes. This module caters for both applications of vocal tuning from creative T-Pain styles to gentle pitch corrections. What makes this pitch correction plug-in stand out from the others featured in this list is that its part of a full suite of vocal production tools that include dynamics, effects, EQ and a harmony module. The harmony module enables users to quickly get layered harmonies from main lead vocals. If you struggle to get harmonies down in your songs then iZotope Nectar 2 could very well be a plug-in you will find useful. iZtope Nectar 2 is available in two tiers, Standard and Advanced. Both represent great value for money. The Harmony tool is available in both versions, the Pitch Editor Plug-in is only available in Nectar 2 Advanced. See Nectar 2 comparisons chart on the iZotope website for more information. Watch our review of iZotope Nectar 2 to hear this plug-in in action. The birth, or shall I say the genesis of real-time pitch correction plug-ins started in 1997 with Antares Auto-Tune and is also, like Melodyne, regarded as a gold standard pitch correction plug-in. Over the last 20+ years Auto-Tune has been regularly updated to include a raft of many great tuning features all within a simple to use GUI. Auto-Tune 8 is one of only a handful of pitch correction plug-ins featured in this list that can be hosted on DSP, that being the UAD 2 platform. The latest version of Auto-Tune, Auto Tune Pro, is due for release very soon. We've had the privilege to play with a pre-release copy of Auto-Tune Pro and it's very powerful and streamlined compared to previous versions. Watch this space for a review of Auto-Tune Pro in the coming months on Production Expert. Auto-Tune Pro will feature the highly requested ARA extension that will enable users to use Auto-Tune within ARA supported DAWs workspaces such as Studio One. Waves Tune Real-Time is a plug-in specifically designed for vocal pitch correction. It provides quick and instant results. If you have a vocal track that only requires minimal pitch correction then Waves Tune Real-Time will do a fantastic job. It's one of those plug-ins that demands no learning curve from users, it's as intuitive as plug-ins get. Waves Tune Real-Time really shines when an already great vocal performance has been run through it. It fails when you expect too much from it by throwing a totally out of pitch vocal in expecting magic to happen. If you need to surgically retune a vocal then Waves Tune Real-Time may not provide you with satisfactory results, we suggest checking out Waves other tuning plug-ins, Waves Tune & Waves Tune LT.
PITCHMAP by Zynaptiq is a very different type of tuning plug-in compared to the others featured in this list. It's a tool that processes the pitch of individual sounds within mixed music, in real-time. PITCHMAP in a league of its own!... seriously there's no other plug-in like this on the market. Users can use PITCHMAP to change melodies and harmonies of any song by simply playing on a MIDI keyboard and the tonality of the drums will stay pretty much untouched. PITCHMAP is a very useful tool in several applications such as preproduction. PITCHMAP can be used to test different chord voicings within demo recordings and it can be used in remix workflows to change the entire melodic structure of a song. Hearing is believing when it comes to PITCHMAP... watch our video review of PITCHMAP to hear it in action. If you are on a budget and looking for a simple to use pitch correction plug-in then we recommend Waves Tune. Regular pricing for Waves Tune is $249 which is a fair price, however, if you keep a close eye on the Waves website you will most likely find this pop up in one of Waves regular promotions for $29, which is outstanding value for money. Waves Tune doesn't have all the bells and whistles other pitch correction plug-ins have such as polyphonic tuning but don't let that put you off. Waves Tune is a very capable real-time pitch correction plug-in which includes all the essential tools for getting vocals in tune fast. If you pick this up in one of Waves' promotions then you have grabbed yourself a very good deal indeed. If you are a bit strapped for cash but require a tuning plug-in then get yourself the free copy of MAutoPitch by MeldaProductions. 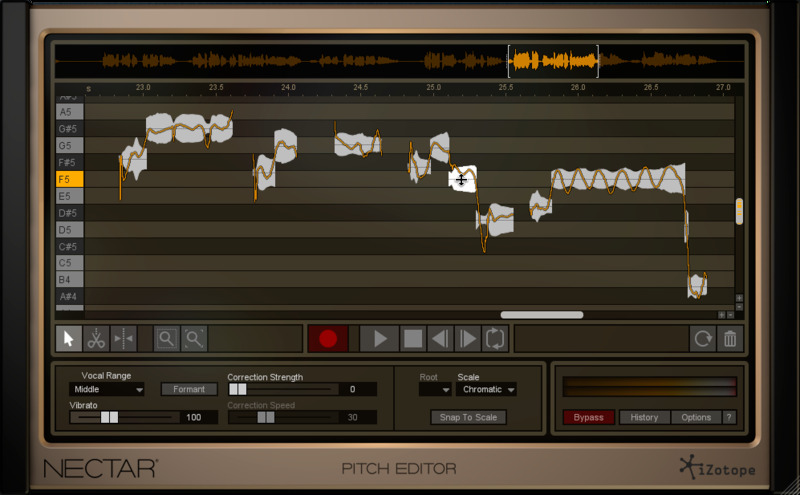 The MAutoPitch plug-in is part of a large free plug-in bundle available from the MedlaProductions' website. MAutoPitch is similar to Waves Tune Real-Time. It is a simple yet great sounding automatic pitch correction plugin designed specifically for vocals and other monophonic instruments. Setting MAutoPitch up couldn't be simpler... Set the key (scale) of the song at the bottom of the GUI, dial in the strength (depth) and you've got automatic pitch correction on your tracks. If you get the occasional peak from your audio within MAutoPitch a useful built-in limiter can be engaged to avoid clipping your tracks. ReVoice Pro is a software package that allows you to synchronize two or more vocal performances to a master reference. This can be ADR, alternative production takes, music vocals, or even instrument recordings. It can sync both time and pitch and its manual pitch correction is very well respected which is why it earns a place in this article. Major new features include a simple yet powerful toolset for manually adjusting audio timing and pitch. Synchro Arts have also been working hard to provide the most natural and transparent-sounding processing available. At the heart of ReVoice Pro is the unique Audio Performance Transfer (APT) process, that can give the user the ability to take the timing, pitch, vibrato and level features of one audio track and use it on another, which allows you to match or correct timing and tuning. You can choose to work fast with automatic workflows or use the manual Warp process for pitch and timing. Paul Drew shows you how to start using Revoice Pro with Pro Tools to tune and align vocal stacks and create double tracks. Revoice Pro 3.2 has new, easy-to-use tools to let you modify the pitch and timing characteristics of vocals, dialog and instruments. It even lets you create harmonies! A while back we posted a shoot out of three popular audio pitch correction software applications; with Antares AutoTune, Celemony Melodyne 4 and Synchro Arts Revoice Pro 3. We also included the untreated original vocal recording. We asked which one you preferred, and Revoice Pro from Synchro Arts came out on top with 36% of the vote. You can read more about this in our article Pitch Correction Shoot Out - The Results. Whilst the results are of some interest the most interesting one is how few preferred the original performance. The performance was chosen because of the note drift on some notes and whilst not perfect it was not in the realm of bad singing by any stretch. This seems to indicate that despite all the negative rhetoric often seen written in forums and on social media about tuning software it seems 9 in 10 preferred a tuned vocal in this case. vielklang Instant Harmony by zplane is another one of those useful tuning plug-ins that can automatically generate harmonies. The plug-in can add up to 4 very natural sounding harmonies based on the lead vocal line and key of a song. Vielklang is available in two tiers, LE and Full. The Full version includes advanced pitch editing controls similar to other piano roll based pitch correction plug-ins featured in this list. give you fast and easy access to pitch, timing, vibrato control, formant shift, and to many more editing options. Which tuning and pitch correction plug-ins do you use that are featured in this list?